Thousands of area seniors could soon access healthier meals, thanks to a new grant awarded to Catholic Housing and Community Services of the Archdiocese of Philadelphia (CHCS). 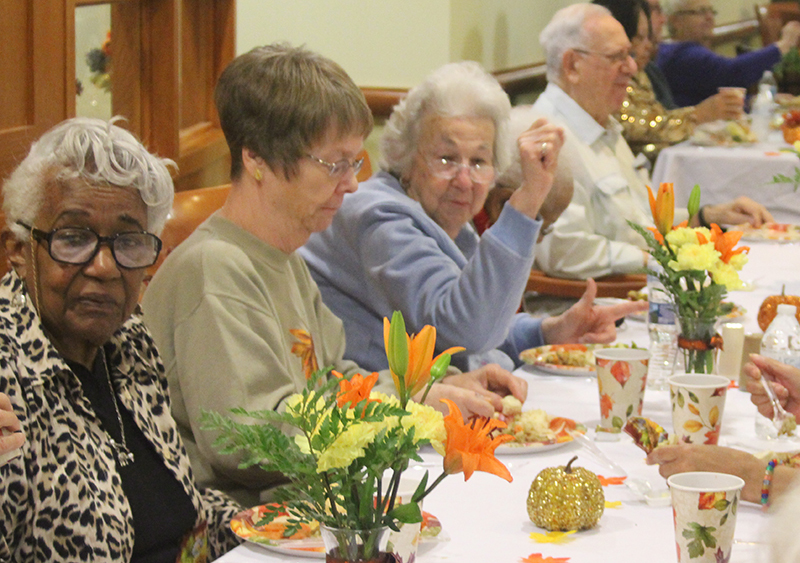 Part of the secretariat for Catholic Human Services, CHCS supports older adults within the archdiocese through in-home and parish-based support, as well as geriatric care management, adult day care and senior housing communities. Last year, CHCS served over 4,600 adults. Through a partnership with Catholic Charities USA (CCUSA), the Walmart Foundation has donated $30,000 to help CHCS enroll seniors in the federal government’s Supplemental Nutrition Assistance Program (SNAP). SNAP provides income-qualified individuals and families with additional funds for food purchases. Undocumented non-citizens are not eligible to receive the benefit, but non-citizens who have lived in the U.S. for at least five years, receive disability-related assistance or are under the age of 18 can qualify for the program. Although SNAP benefits can be used for snacks and soft drinks, the program encourages recipients to opt for more nutritious selections such as fruits, vegetables, whole grains and low-fat milk products. Depending on an applicant’s income and family size, monthly SNAP allocations in Pennsylvania can range from $192 for a single person to $1,155 for a household of eight, plus $144 for each additional family member beyond the total of eight. For seniors, SNAP funds — which are distributed monthly through electronic benefit transfer (EBT) cards — can mean the difference between hunger and health. Food insecurity among U.S. seniors has more than doubled since 2001, according to a 2019 joint study by Oregon State University and Tufts University. Older adults who lack access to adequate, nutritious foods routinely experience chronic health issues. Ironically, the same adults often forego purchasing food in order to cover the cost of medications, compounding a cycle of declining health. “How very sad that our seniors would have to choose between medicine and food, and yet that’s exactly what I see in my work with them,” said Karen Becker, CHCS’s director of in-home support and senior centers. Several barriers can prevent seniors from completing SNAP applications, said Becker. Becker said that CHCS will use the Walmart Foundation grant to engage these groups, as well as non-English speaking seniors. At present, CHCS case managers are available to provide assistance in Chinese, Italian, Spanish, Polish and Vietnamese. Such language skills are crucial for helping food-insecure older adults, such as the Polish-speaking clients served by Anna Kozlowska, a social services coordinator at CHCS’s St. Anne Senior Center in Philadelphia’s Port Richmond section. 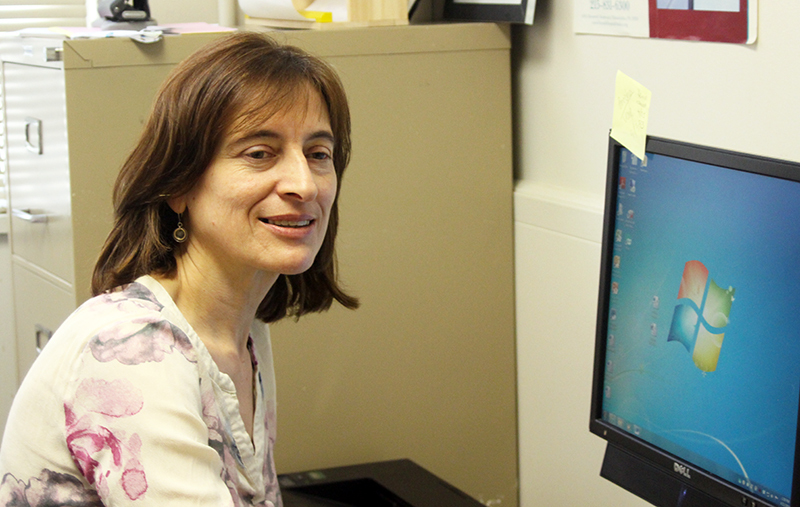 Kozlowska observed that some seniors fear that applying for the benefits could mean forfeiting their savings accounts or even their homes. While such concerns are unfounded, the SNAP program itself is facing federal funding cuts. On March 27, the United States Conference of Catholic Bishops (USCCB) wrote to the U.S. Department of Agriculture to protest plans to decrease SNAP access to able-bodied adults without dependents (ABAWDs), a move that would impact some 1.2 million SNAP recipients, most of whom are at or below the poverty line. The period for commenting on the proposed legislation closed on April 10. Regardless of the bill’s outcome, Becker, Kozlowska and the CHCS team will continue to encourage seniors to sign up for SNAP.